And experience an amazing adventure! Take on a lifetime adventure with us to the heart of the Mayan culture in pristine natural landscapes. Enjoy our sustainable expeditions & eco-parks in small groups, exclusive locations, with knowledgeable and friendly tour guides. Discover natural reserves, the largest coral reef of the America, underground rivers and lagoons surrounded by jungle, archaeological landmarks and authentic Mayan communities where inhabitants open their doors for you to adventure. 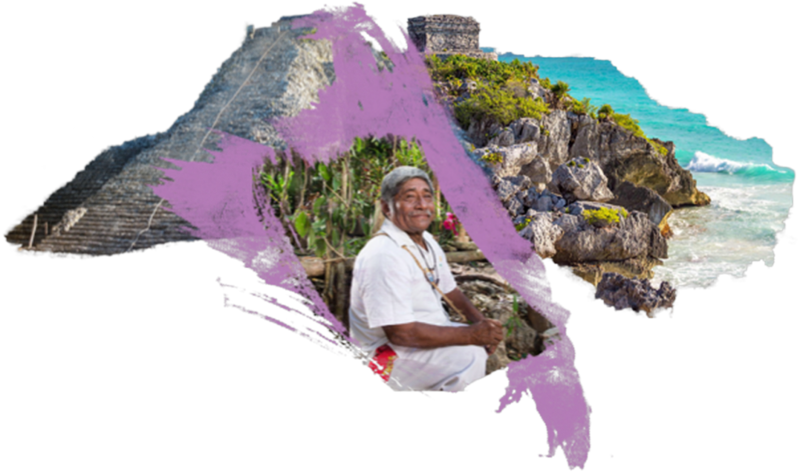 Fall in love with the unique beauty of the Mexican Caribbean and become a traveler who preserves the environment and the Mayan heritage. Visit the archaeological site of Ek’Balam, an ancient Mayan city that knew it’s glory before Chichen Itza. This archaeological site is one of the latest Mayan archaeological attractions because of its most recent restoration works. Explore the majestic Cenote Maya, with the largest dome in the Yucatan Peninsula. You can swim in this natural jewel and enjoy some adventure activities. Discover the Mayan culture, participate in an authentic blessing ceremony and enjoy traditional buffet prepared with organic vegetables. Visit Chichen Itza, the archaeological site named "wonder of the modern world." When you chose Alltournative, you will have no commercial stops or many pick-ups, so you will be one of the first ones to arrive to the site avoiding crowds and extreme hot. Rappel down thrilling cenotes and soar the canopy in breathtaking ziplines, swim in hidden caves and walk through the jungle learning about the environment. Enjoy a lush meal of typical food, soft drinks and hand-made tortillas. Photographers of the Maya communities will take great pictures of you during the activities! Visit the archaeological site of Coba, and discover the tallest temple around. Explore the impressive Tulum archaeological site. It is set on a cliff giving you stunning views of the Caribbean Sea. Interact with Mayan families and be part of a community project. Swim in a beautiful Cenote (underground cave with clear fresh water), participate in a Mayan ceremony and enjoy a traditional meal.